The Tournament Organizer provides equal opportunity to qualified individuals regardless of race, color, religion, gender, pregnancy, marital status, sexual orientation, physical or mental disability, military status, and all other grounds of discrimination provided by local legislation. As a condition to being allowed to participate in the Tournament, Participants are required to agree to release and hold harmless Tournament Organizers and any of their respective parent companies, subsidiaries, affiliates, directors, officers, employees, and agencies from any and all liability related to the participation of the Participant in the Blitz Twister Cup Tournament whatsoever, and waive any and all causes of action, related to any claims, costs, injuries, losses, or damages of any kind arising out of or in connection with the Blitz Twister Cup Tournament or delivery, misdelivery, acceptance, possession, use of or inability to use any prize (including, without limitation, claims, costs, injuries, losses and damages related to personal injuries, death, damage to or destruction of property, rights of publicity or privacy, defamation or portrayal in a false light, whether intentional or unintentional), whether under a theory of contract, tort (including negligence), warranty or other theory. Participants must also consent to the use of their name, biographical or occupational description, picture, portrait, likeness, voice or phrases, or any or all of them for promotional or commercial uses by Wargaming. Teams and players participating in Blitz Twister Cup Tournament are bound to a non-disclosure agreement. Teams and players are not allowed to reveal or publish any internal information or responses without official permission from Tournament Organiser. For clarification regarding what falls under the non-disclosure agreement, contact the Tournament Organiser. Failure to comply may result in disqualification from the Tournament as well as further legal ramifications. Examples of common communication channels that are considered to be bound to the non-disclosure agreement include but are not limited to: Teamspeak, email, Skype, Twitter, Facebook, photography and audiovisual recording, as well as verbal communication. 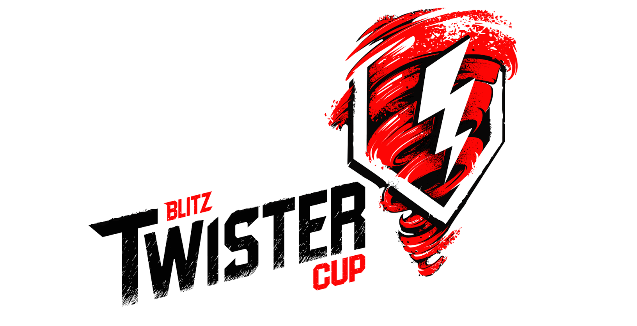 The rules, regulations and code of conduct of the Blitz Twister Cup Tournament may only be amended, repealed or modified by Blitz Twister Cup Tournament Organizers. The Tournament Organizer reserves the right to make changes to the rules, regulations, and code of conduct at its sole discretion. Participants must provide their own equipment. Participants are responsible for their own internet connection, including the quality of said internet connection, to the designated World of Tanks Blitz server. Participants are responsible for dealing with computer security and DDoS attacks to their own computer. The Administrator overseeing a match will set down expectations before the match for how to properly communicate a disconnect and any additional procedures. No unapproved programs may be running during any Matches. The Tournament Organizer may determine acceptable programs at their discretion. Some programs that may be deemed acceptable: music, hardware monitoring, Teamspeak, Skype, Anti-virus. - Meals may be covered by a per diem as needed. Travel and accommodation of any Parental Guardians will be arranged by, and at the cost of, Tournament Organizers. The travel and accommodation of any additional Team members must be arranged by, and at the cost of, the Participant. 3.1.2. Any additional costs incurred during a travel period will not be covered by TE unless otherwise specified in writing. 3.1.3. Any visa costs related to the event should be handled by the Team Operational fee. 3.1.4. Tournament Organizers takes no responsibility for the acquisition of visas. The TE is an aid and will help where possible and within the realms of reason. 3.1.5. All Participants must respect their surroundings and leave their hotels and transport clean and tidy. They must cover any additional costs themselves (e.g. minibar, room service, damage to rooms, etc.). 3.1.6. Missing a flight, connecting shuttle or shuttle to/from the hotel or to/from the venue is not covered by Tournament Organizers. Language – In all languages, Participants may not use obscene gestures, profanity and/or racist comments in game chat, lobby chat, or live interviews. This includes abbreviations and/or obscure references. Tournament Administrators reserve the right to enforce this at their own discretion. These rules also apply for forums, emails, personal messages and Tournament Skype channels. Behavior – Persons are required to behave in a sportsmanlike manner towards other competitors, members of the administration team, media, and fans. In-Game Presence – Persons involved in the Tournament are required to follow all in game rules that are part of World of Tanks. Content Creation – Teams are responsible for the assurance of the appropriateness of the content that they produce including, but not limited to: Social Media Presence, Videos, Streams, and Face Offs. Disputes and Redress – Any general disputes a person may have with the current operation of the Tournament should first be addressed by email. Illegal substances and PED’s – Team members may not be under the influence or in possession of illegal substances or performance enhancing drugs (PED). In addition to the standard Code of Conduct penalties, any offending Participants may be handed over to the authorities in accordance to the local laws and/or disqualified from participation. Alcohol – Team members that are intoxicated during any event may be disqualified at the discretion of the tournament organizer. Cheating – Any form of cheating will not be tolerated. If the Organizer determines that a Participant is cheating, the Participant or team will be immediately disqualified and removed from the tournament and may be restricted from participating in future events. Software Exploitation – Any intentional use of any bugs or exploits in the game may result in a forfeit of the Match and disqualification from the tournament. Bugs and exploits will be determined at the discretion of Wargaming and/or the Tournament Organizer. Collusion and Match Fixing – Participants are not allowed to intentionally alter the results of any Match. If the organizer determines that a Participant or team is colluding or Match fixing, the Participant or team will be immediately disqualified and removed from the Tournament and may be restricted from participating in future events. Participants must compete to the best of their ability at all times. Gambling – Anyone associated with the Tournament is forbidden from placing wagers on any Matches or actions in, or around, the Blitz Twister Cup Tournament. Rules and Code of Conduct violations will be reviewed by the Tournament Organizer. Violations of the rules and/or code of conduct may vary including but not limited to, an immediate disqualification, forfeiture of a Match or Battle, removal from the tournament, sanctions against personal World of Tanks accounts, and/or restriction from participation in future events. Final decisions regarding Participant violations are up to the discretion of Tournament Administration. I hereby acknowledge receipt of the Blitz Twister Cup Handbook. I understand that my compliance with the Handbook is a condition of my participation in the Blitz Twister Cup. I acknowledge that the Company reserves the right to impose discipline for any conduct it deems inappropriate, including, but not limited to, disqualification from a Blitz Twister Cup Tournament.. I have carefully read and I understand the Handbook. I understand and support these standards set forth in the Handbook, and I will act in accordance with them. If I am under 18 years of age, I agree to have a parent or guardian review this document and consent to my participation in the Blitz Twister Cup. "Alcohol – Team members that are intoxicated during any event may be disqualified at the discretion of the tournament organizer." I'm out, can't tank sober, that's why my stats are so bad. Will fennel stem powder be permitted? Does that count as equipment or would that be considered cheating? Edited by Turd___Ferguson, 27 September 2016 - 06:22 PM. Edited by Derf19, 27 September 2016 - 06:34 PM. The tickets and accommodation is listed as 1st place prize from the in-game tournament info. You're already breaking a rule, jeez. It says tiers I-X. If your team enters with all tier I, will you face tier X or is MM +/- rules still in place? Order unlocked: T110E5, IS-7, T110E4 & STB-1. Anyone have some spare credits, send my way please and thanks. You will face whatever the other team brings, which can be any combination of Tier I-X. In the rules it says you must bring your own equipment and you must not have any illegal "computer programs". It does not state anywhere in specific about the use of computers however. I would like to clear up some confusion. My team wants to attend the Blitz Twister cup but 2 members only use Laptops to run windows 10 and have never used an Ipad or Iphone. Is it still within the rules for them to attend if they bring their laptops and they have no illegal mods etc. Edited by reptilesr1ke, 27 September 2016 - 10:20 PM. And for those who said Tournament's wasnt going to be as great as CW. What ya got to say know. Edited by Ausf_G, 27 September 2016 - 10:27 PM. GenericMIKE is looking for a team! I'm an old WoT PC vet and an avid Blitz gamer! Please feel free to contact me in-game or on forums! Thank you! I am not only bringing a positive attitude but skill and experience to the fight, and hopefully push my team to the top till victory! My current username is still: "RenamedUser_1005910274"
Edited by RenamedUser_1005910274, 27 September 2016 - 10:49 PM. Just to be clear - if one team is all tier 8 and the other team is all tier 10 the match will start regardless? If Yes - this means that the only people that will be playing the tournament are those with tier 10 tanks? So why announce the tournament as tier 1-10? Good luck all! See you in the tourney boys. Suit up! What day(s) will the New York portion of the tournament be held? If no exact dates exist, could I have an estimate? Why announce it like that - because maybe someone has a Tier IX tank that works perfect with their teams X's. We wanted to keep it open to any possible combination. In all likelihood, it will be full teams of Tier X, but it won;t be because we forced the competitive scene to be that way. It will be what it is naturally.